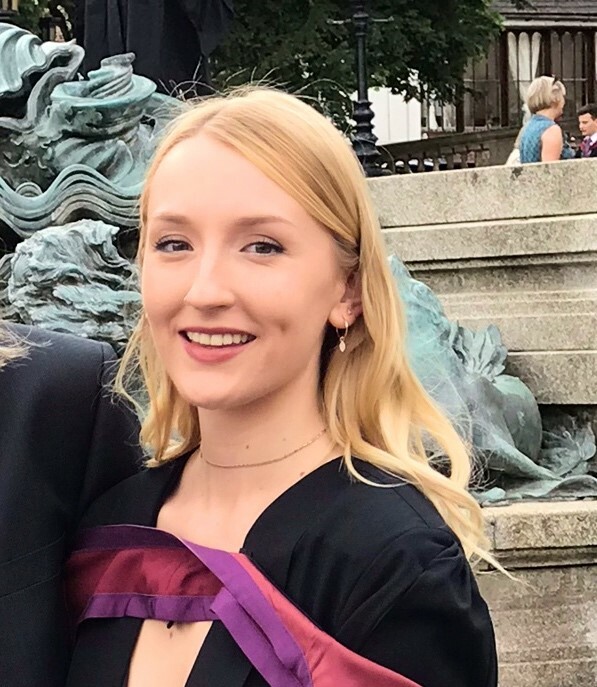 As part of our Pro Bono Week series we talked to recent graduate Lana Murphy (LLB Law with Study in Continental Europe, 2018) about being a part of the Law Clinic team, how voluntary work has opened her eyes to a wider range of future options, and her top tips on making your time at university the most rewarding experience for yourself. From a young age I always wanted to study Law as I aspired to become a Barrister. I loved the theatre and drama of the whole thing. I wanted to study at Bristol in particular because it was the only University I visited where I could picture myself starting my adult life. Plus the Law building is like something out of Hogwarts! Winning my first social security appeal before a Tribunal. I had put so much time and effort in and the clients really did deserve the win. It was the best way to end my final year at Bristol. Also, working with the amazing Law Clinic staff: John is a walking legal encyclopaedia - he can honesty answer anything. Louise is the mother of the Clinic - anything you need she can sort out. Liz is new to the Clinic this summer and she’s absolutely hilarious - she kept me laughing throughout my internship. Finally, there’s Omar who I can only describe as a social justice warrior. They’re a brilliant team and made working at the Clinic such an enjoyable experience. Clients are so varied and they all have different expectations of you - having to meet the demands of each can be difficult, particularly when you’re trying to balance and manage a large case-load. I would also say that working on CLIC cases can be hard because they're emotionally challenging but they’re also some of the most rewarding cases to work on. How has the experience helped you in terms of preparing for the workplace? Has your voluntary work influenced your future plans? It has helped me in so many ways from developing client care and service skills to an understanding of ethics in practice to enhancing my own interaction with and application of the law. Working in the Clinic puts your academic learning into practice with real clients and real legal issues - it’s an invaluable experience for law students. Taking part in voluntary work has opened my eyes to more options for the future. For example, although I was set on becoming a Barrister, I’m trying my hand at being a paralegal in order to better understand life as a solicitor. Also, as a result of my time in the Clinic I’d love to continue with pro bono activities and keep my relationship with the Clinic. Congratulations on your new job! Tell us a little about your role, what are you most looking forward to once you start? I have a hybrid role at VWV. I am working as both a Commercial Property Paralegal and Secretary & Hearing Assistant to a Partner within the healthcare team. This involves paralegal duties such as research, drafting and assisting the members of the commercial property team. The other side to the role is working with a Partner who suffers from a hearing impairment by carrying out secretarial and administrative responsibilities such as attending meetings and conferences, taking minutes and transcribing conversations. I've just finished training and am excited to start the job properly working within a brilliant team for an excellent firm. What would be your top tips for students starting their journey into Law at Bristol? Choose subject options that you will enjoy. Don’t just go for what your mates have opted for or what you think an employer will want. You’re the one that has to study it for the year so you want to enjoy it. Don’t stress out if you don’t finish all of the reading. Just make sure you know the main points and note down any questions or things you don’t understand - tutorials and seminars are for learning and filling gaps in knowledge. Say YES - try out different societies, clubs, activities. Put yourself in situations outside of your comfort zone and just have fun. Biggest tip: go on a year abroad. It made my University experience over and above anything I expected.